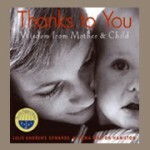 Children learn much about the world from their mothers. But what about the unexpected wisdom mothers gain while parenting? Julie Andrews Edwards and her daughter Emma Walton Hamilton share their mutual discoveries and delight in the growth experiences of childhood and motherhood. Accompanied by photographs from the authors’ extended family collection, these personal exchanges between mother and child celebrate a special bond while reflecting a universal truth.